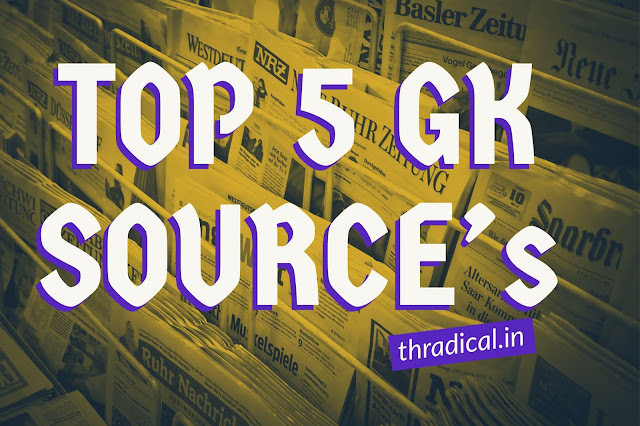 Staying up to date is one of the key aspects in the life of a defence aspirant, here is a list of TOP 5 sources that will help your General knowledge. This is the best app if you don't wish to read lengthy articles, it will give you the glimpses of the entire world, in a short span of time. this is the option for those who intend to get a complete knowledge of every aspect, this newspaper is one of the most trusted and reliable sources. And the best part is that you can read every day's newspaper for free. Study-IQ Education is an education platform trusted by millions across the globe. With over 12 million views per month and 10 lakh subscribers it is the most watched and most subscribed to education channel on YouTube in India.. The Missile Threat website brings together authoritative and up-to-date open source information and analysis about ballistic and cruise missiles around the globe and the systems designed to defend against them. thRADICAL is a great source to understand the various Topics, in very easy language. This site is targeted for people preparing for NDA/CDS/AFCAT/SSB and all the learners. This is not a news Website with each and every information around (relevant & irrelevant), which creates understanding any topic harder if one is not a consistent news reader. This is why we do an in-depth research on the important topic and bring the Explained Series to you, after reading what you will be able to understand the complete topic in the current context. This site also covers Topic from Day-to-Day important news coverage to Important International Issues.